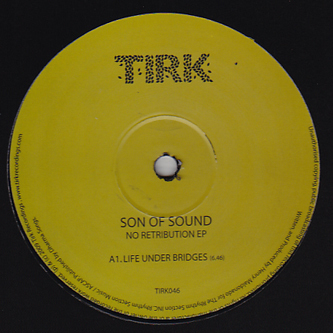 Three great slices of modern (by which I mean '80s-influenced) disco from Tirk, served up in brilliantly compacted and compressed productions, overflowing with chorused percussion and synth filter sweeps. No Retribution makes more of a feature of the vocals, embracing plenty of organic instrumentation - most notably some thunderous Level 42-esque bass. Finally, 'El Malo' kicks in with a samba sound that effervesces electronic detail and general disco magnificence. Very good stuff indeed.